Paula Brown | Rejoice in Art! Paula Brown is a Heartist. 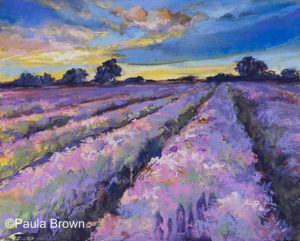 Paula draws and paints the connection to the “heart” – the feeling of places, events, environments. Her muse is nature. Shi is inspired by its form, light, and patterns that speak of its function, interconnecting with all to make up this world of ours. Her paintings reflect the light that radiates from each subject’s source that shines the power of both experience and place. Paula loves to see deep into the ordinary to express its extraordinary. Her “how” is being a Visual Storyteller, of communicating nature’s “speak” with sketch journaling, watercolors, plein air oil and acrylic painting, and pastel painting. And, her favorite subjects are landscapes and seascapes (and fun loose sketching of place, experience, and folks’ pets!). She paints en plein air, from her iPad and photographs, and she loves to employ under painting techniques, being schooled in process taught by internationally known pastel artist Richard McKinley. People viewing and jurying Paula’s art have commented that her paintings excel in capturing the heart essence; the feelings of things, place, or scene, by creating an impressionistic focus of luminosity with unique marks of color and tone. 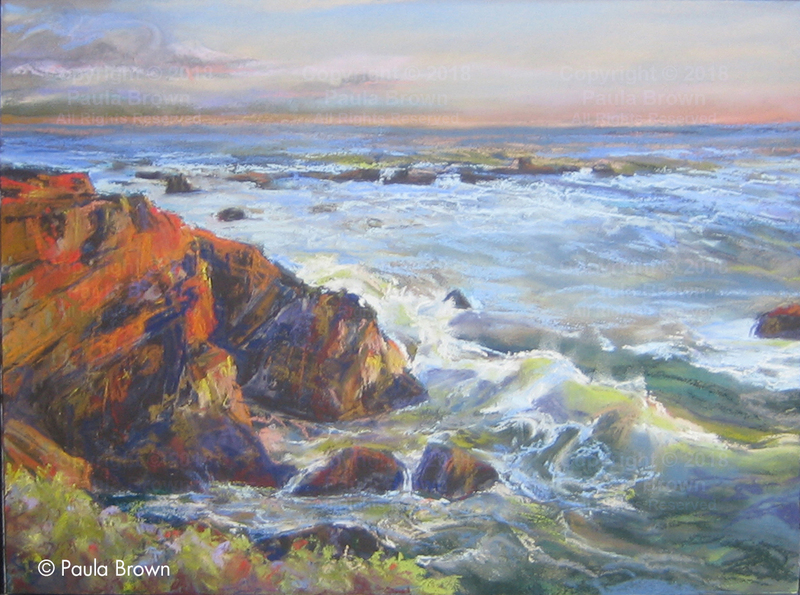 Having exhibited in juried shows in Southern California, she is also a member of the Pastel Society of Southern California and the Santa Barbara Art Association. Paula’s paintings have been honored with awards from judges such as Richard McKinley, Steven Shriver, and Jeremy Tessmer. Artists that inspire her are painters George Innes, John Singer Sargent, and the American and European Impressionists. Paula’s art and storytelling beginnings were kindled by storyteller / artist Theodore Seuss Geisel – Dr. Seuss! What fuels her heart? She is a life-long learner who grows by doing art as well as teaching others to share and express the beauty found in nature and in our own true nature.